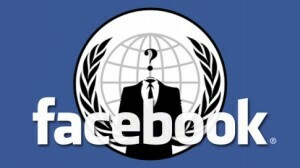 Anonymous vs. Facebook | MindShit Blog - Netzwelt at its best! Was die Gruppe geplant hat ist noch ungewiss. Es wird allerdings schon gemunkelt, dass wenn so eine Botschaft bereits jetzt veröffentlicht wurde, der Zugriff auf die Server bzw. vertrauliche Daten bereits geschehen sein müsste. Unter mehr davon findet ihr das YouTube Video und das Script zum Video. Everything you do on Facebook stays on Facebook regardless of your „privacy“ settings, and deleting your account is impossible, even if you „delete“ your account, all your personal info stays on Facebook and can be recovered at any time. Changing the privacy settings to make your Facebook account more „private“ is also a delusion. Facebook knows more about you than your family. http://www.physorg.com/news170614271.html http://itgrunts.com/2010/10/07/facebook-steals-numbers-and-data-from-your-iph…. The riots are underway. It is not a battle over the future of privacy and publicity. It is a battle for choice and informed consent. It’s unfolding because people are being raped, tickled, molested, and confused into doing things where they don’t understand the consequences. Facebook keeps saying that it gives users choices, but that is completely false. It gives users the illusion of and hides the details away from them „for their own good“ while they then make millions off of you. When a service is „free,“ it really means they’re making money off of you and your information. Was sagt ihr dazu? Wird Anonymous erfolg haben oder sind das einfach nur leere Drohungen?